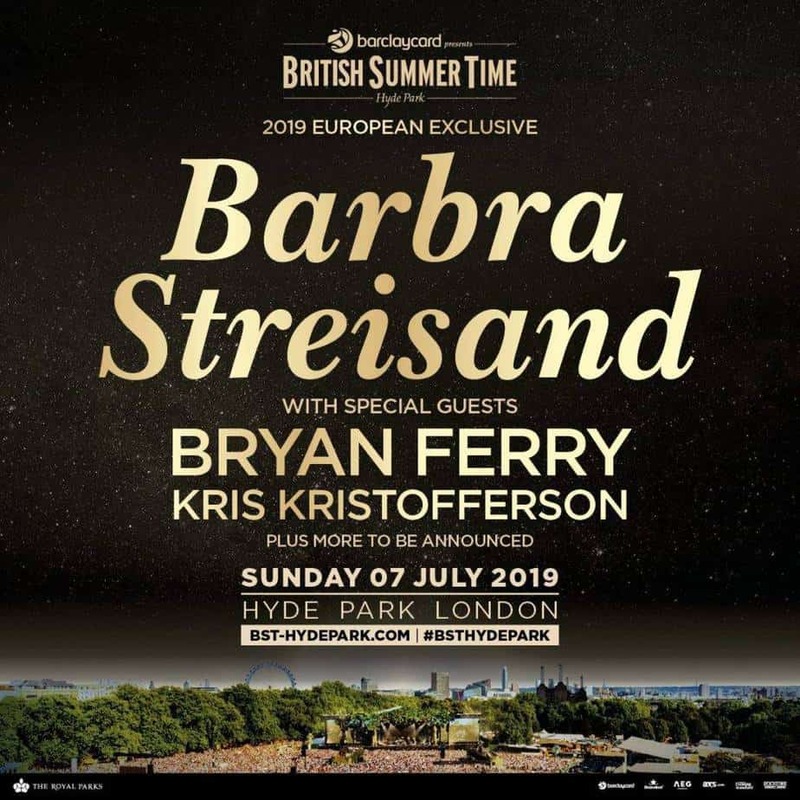 An event that fans have dreamt of – Kris and Barbra back on stage in 2019. Many of Kris’ fans are Barbra’s fans too. This might seem strange initially, their images and music styles are very different after all – It’s far less odd when you consider everything they have in common. Both artists have distinctive voices. If you’ve ever heard either of them sing a note, then it’s unlikely you’d confuse them with anybody else. Of course, they sound totally different from each other, but each has a voice that is unique and quite unmistakable. Hear them once, and you’ll recognise their voice immediately. Barbra started the Streisand Foundation to advocate for the environment, women’s rights and other vital issues. Kris’ activism is well known to his fans, if under-reported in the media. They individually campaign and raise support for justice, equality, equity, the environment, the sidelined in society and the planet. Their methods differ, but they share a passion for righting wrongs. They speak out even when their causes and views are unpopular or controversial. This iconic duo shaped the fashions and attitudes of a generation. Casual glamour, effortless genius and sparkling smiles fronting their quick and creative minds are winning combinations. Both are big brand icons in their own unique way. The grandest of the grand. These charming, uncompromising hard-hitting forces of nature are both set to do their best to ensure their family will live on a planet they can thrive in. Humanity will share and benefit from their superhuman efforts to protect whatever is important to them. Both have invested their time, fortune and influence to leverage change. Love for their families motivates them to preserve things they value, and improve situations they cannot accept. It feels like a dream. Many thought it could never happen. Fans hoped that Barbra and Kris would perform live together at some point after watching them set the silver screen ablaze in 1976. A Star is Born hit cinemas and drive-inn theatres all over the world. The film attracted a cult-like following that has never ended. Fans bought the videotapes, then the DVDs – A few times over. The recent remake re-sparked an interest that had never died. A new generation watched the new version, then rooted out the “real” one. The 1976 release was a remake, too, but that detail made no difference. Heated discussions followed at home, on television, online and on this site. Fans had a lot to say about the latest remake of the film. They had far more to say about “their” movie. Fans of the 1976 film wished that their co-stars had performed live – Aside from on the set. They never imagined the possibility that they could see Kris and Barbra back on stage in 2019. It just shows that wonders can happen, and some wishes do come true. Barbra Streisand hinted that something special might happen. When Barbra speaks, people listen – Especially us fans. We are always on the lookout for news, and our eyes and ears are always tuned in. Shari Savage, a member of our group, heard Barbra when she tweeted a strangely worded message. Naturally, she shared it with the rest of us and that did it. We were all twittering with excitement. Shari was wondering what we should “stay tuned” for – And the floodgates opened. The guesses ranged from Kris just dropping in, to a possible duet or screen appearance and everything in between. Shari, like all of us, is an avid fan. We all have our favourites, and she has a particular passion for this couple and their movie. I made my three daughters and my sil watch A Star is Born before seeing the new one, so four more viewings for me! (1,000,004 now. Lol). I tried to be open minded with this new one, was excited to finally see it. I like Bradley Cooper, not a big Gaga fan but was ready to give her a shot. I thought it was ok but it didn’t give me the feels like Barbra and Kris. I just didn’t believe the story. I liked that we didn’t have clarity on John Norman’s past, I liked the vagueness of his death, even though we knew. The chemistry between Barbra and Kris was off the charts, didn’t feel it at all with Bradley and Gaga. Bradley is an impressively good singer but I just wanted him to have a bath through the whole movie. Gaga is a phenomenal musician. It didn’t matter. My kids like the older one better too, and they aren’t in love with Kris ❤️ like their Mom. 😉 Just my opinion. 1st April had passed, it was all true. A concert was booked for July in London. We don’t know everything about this concert yet. We do know that Kris is booked to appear at the show in Hyde Park, London – Along with Bryan Ferry and others who are yet to be announced. 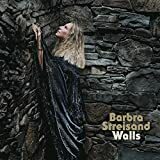 Barbra Streisand has said (tweeted) that she will keep us (the public) updated. We have tweeted back and asked her for more information. It’s most likely that we’ll need to watch her posts for updates. You never can tell though – Wonders so seem to be going around. Barbra may reply in person. If she does, we’ll be sure to let you all know. Meantime … We’re staying tuned.